Cast your line, reach the depths and catch as many fish as you can on your way up! Upgrade your gear to catch more fish and to dive deeper, make rare finds and discover new species! 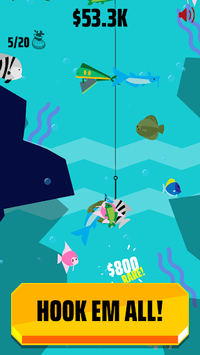 - Simple and addictive gameplay: Tap, cast down and catch as many fish as you can! 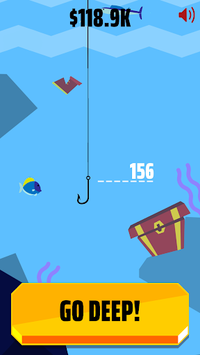 - Upgrade your net to grab more fish and to reach deeper depths! 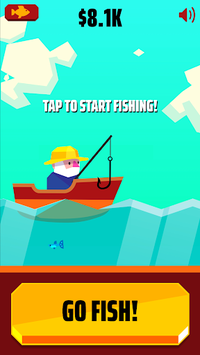 - The old fisherman will continue to earn money for you when you’re away! Can you discover the mysteries that lie in the ocean? Go Fish! + Bug fixes and improvements to keep you fishing!